Oh we do like to be beside the seaside, and little ones just love splashing about in the waves and exploring rockpools. This smart rash vest from Cath Kidston is a great way to keep the sun off their backs. 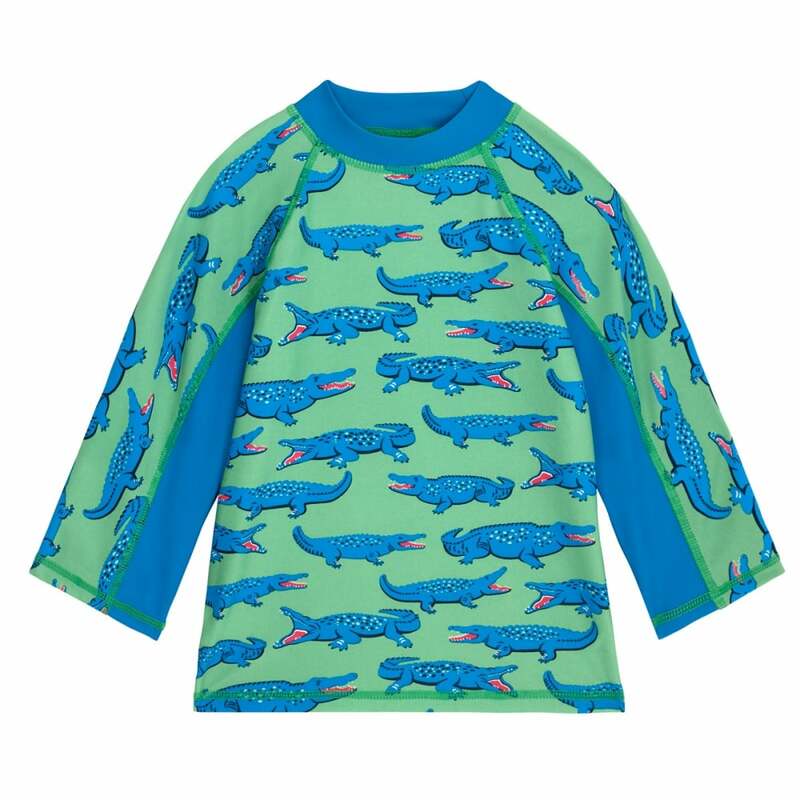 We love the vivid green with the blue crocodile motif. It's a bright and bold way to enjoy the Summer sun. *Please Note: You will still need to use sun-protection. Advice on how to prevent sun-damage and sun-burn can be found on the NHS website.